A person’s name is important. It gives them a unique identity. It brings satisfaction and a place of belonging. That’s why educators should take great care in learning and using the names of students and their parents every chance they get. There’s something comforting in being known. Like Cheers, The Ritz Carlton understands this basic human need. Known for their exemplary customer service, The Ritz Carlton has a simple formula for making customers happy. Always start with a warm and sincere greeting. Use the guest’s name, anticipate and fulfill every need. Make sure guests leave hearing a warm goodbye. Which companies act like they are always glad you came? Apple? Southwest Airlines? Starbucks? 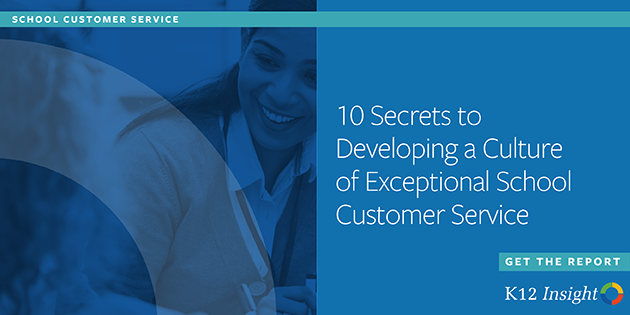 The most successful school districts anticipate and exceed their customers’ expectations. They have made customer service a priority and have built their program internally through direct dialogue–first with their employees, and then with actual customers. Authentic public engagement involves giving stakeholders a voice before decisions that affect them are made. The best and most effective way to ensure a message has been received and understood is through face-to-face interaction. 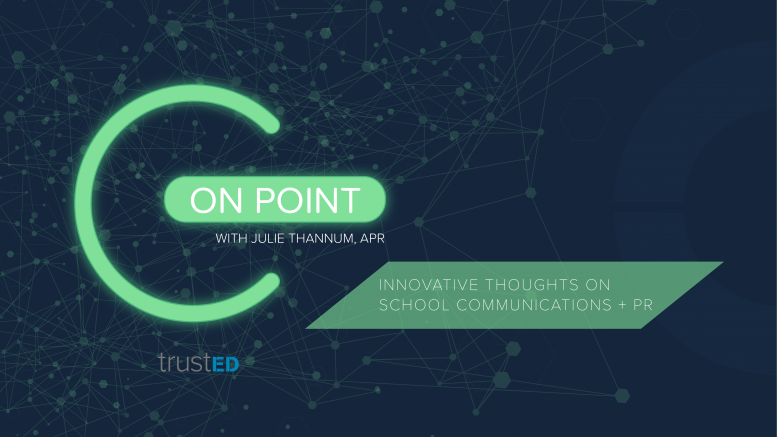 But when that isn’t possible, there are tools available for school districts to accept and respond to customer input through two-way communication. To develop an effective customer service program, a school district should dialogue face-to-face with its own employees. Visit with the men and women who are on the front lines meeting your customers each and every day. Ask questions and allow them the opportunity to help define what exemplary customer service looks like in your district. Ask yourself: What is your mission? What is your brand promise? In other words, what do you offer at your school district that is unique and memorable? Creating a list of customer service standards for your employees helps them more clearly understand and support the program they helped develop. Consider a staff discussion to determine how many times the phone should ring before an employee answers; whether or not the customer should be passed from department to department; or how quickly emails will be read and handled. Setting standards that define good customer service so that you can get buy-in from employees before implementing a program can mean the difference between success and failure. This process will also help ensure consistency in messaging—which is vital in large school systems. Once you have established a foundation for gold standard customer service, organize a training program that meets the needs of your employees. Set expectations early and provide your staff with the ability to try out their new skills before you begin to evaluate them. Create accountability partners to hold staff to the predetermined standards. Some districts have incorporated “secret shoppers” into their customer service program. This is only recommended if you have already established clear customer service expectations and have trained staff effectively. Provide genuine feedback that is constructive and helps employees build on their skills. Reward those employees who meet expectations and model great customer service on a regular basis. Regularly survey and engage your customers to determine expectations and evaluate your program. All of these steps are essential to meeting and exceeding customer needs. Remember that each encounter between a school employee and its customers can make a lasting impression. Your employees are either building or breaking your brand promise every time they encounter a customer. Remember Norm? He frequented Cheers and made strong connections because the people inside cared about who he was and why he was there. You may not yet have a five-star customer service program, but by engaging your employees and your customers, you are one step closer to becoming The Ritz Carlton of public schools. Be the first to comment on "What’s in a name? Setting the gold standard in school customer service"